As dramatically powerful as it is unhappily timely, Bruce Miller’s splendid and stark adaptation of Margaret Atwood’s iconic Tale imagines a future nightmare-scape of gender oppression and sexual servitude. Deservedly sweeping up at the Emmys, including for the mesmerizing performance of Elisabeth Moss as the anguished and quietly rebellious Offred, Hulu’s breakthrough drama was arguably the high point in another incredibly bounteous year of high-quality Peak TV. Narrowing the list to 10 leaves many terrific shows unacknowledged. But there’s no denying Handmaid’s impact and achievement. Making every precious episode count, with one highly anticipated payoff and payback after another, HBO’s dark and fiery fantasy has never been more epic or sensationally satisfying than in its penultimate season. So many unforgettable moments: the long-awaited return to Westeros of would-be Queen Daenerys, the tragic death and terrifying resurrection of her beloved dragon Viserion, the Stark sisters’ revenge on Littlefinger. Wow. What becomes two Hollywood legends most? Being played with outrageous fearlessness by contemporary superstars Susan Sarandon (as blunt, proud Bette Davis) and especially Jessica Lange (as tragically embittered, insecure Joan Crawford) in Ryan Murphy’s latest FX franchise. Re-creating the rivalry on the set of What Ever Happened to Baby Jane?, Feud delivers campy catfighting with a savage swipe at Tinseltown’s cruel cynicism. Ken Burns and Lynn Novick’s expansive (18 hours) and devastating dissection of the controversial conflict embeds the viewer in a grunt’s-eye view of combat, from psychically scarred and often disillusioned U.S. veterans to Vietnamese soldiers and citizens from both North and South. Playing out over two weeks on PBS with staggering breadth and depth, The Vietnam War is unsparing in its criticism of political and military leaders while never losing sight of the service and sacrifice of the tens of thousands who gave their lives or are still living with these traumatic memories. Historic storytelling at its best. The streaming giant could easily command its own Top 10 list with a seemingly endless output of buzzy, binge-worthy shows. Among the many fine dramas—the Western Godless, the chilling Mindhunter, the poignant 13 Reasons Why, new seasons of The Crown, Stranger Things and Sense8, to name just a few—none was a greater or more compelling surprise than the fugitive thriller Ozark. Dark comedy fused with relentless suspense as money launderer Jason Bateman relocates unfaithful wife Laura Linney and their kids from Chicago to a rural outpost where they tangle with colorful local criminals. It merits comparison to Fargo, Justified, even Breaking Bad. 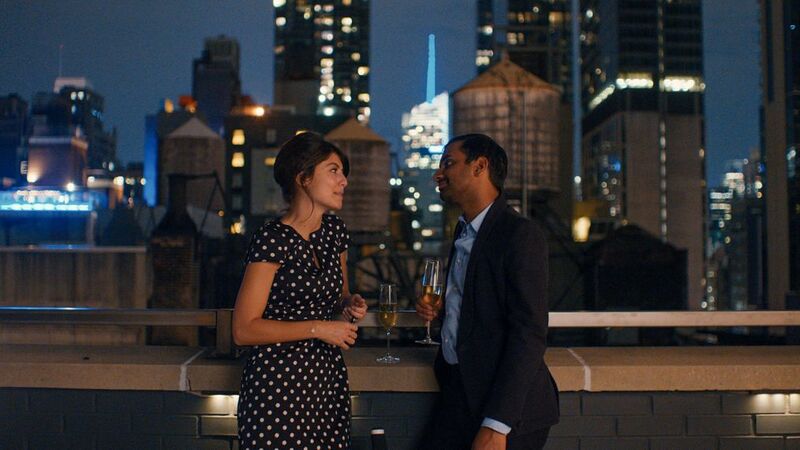 Netflix also launched plenty of strong comedies (GLOW, Atypical, Santa Clarita Diet, a reinvented One Day at a Time), but the standout was the rapturously romantic, deliciously cinematic second season of Aziz Ansari’s quasi-autobiographical triumph. Stylistically adventurous, with no two episodes quite alike, Master topped itself with Lena Waithe’s Emmy-winning “Thanksgiving,” movingly spanning 20 years of fraught family holidays. I miss Martin, the ultimate underdog, abandoned by ABC after just eight episodes. This endearingly original comedy gem viewed the messy world of an everywoman (Fargo’s Allison Tolman) through the eyes—and droll commentary—of her adoringly loyal mutt (voiced by cocreator Samm Hodges). I want to adopt this show. A starry social satire with a killer who’s-going-to-die hook, HBO’s glossy version of Liane Moriarty’s irresistible page-turner had surprising bite in its depiction of bullying and domestic abuse among beachside California’s privileged class. Oh, boo-hoo! Sure, the manipulative seams are showing more obviously in the second season of NBC’s hit tearjerker. But few shows strike as deep and resonant an emotional chord as This Is Us, with its framework of the Pearson family’s past (dominated by Milo Ventimiglia’s nurturing Best Dad Ever, Jack) illuminating the turmoil and challenges of the present-day offspring. We’re still not quite over the “Memphis” road trip of adopted son Randall (Emmy winner Sterling K. Brown) and dying biological father William (Ron Cephas Jones). What the Heck… This is our last year-end opportunity to salute ABC’s unassuming, underappreciated yet always delightful family comedy before it signs off. Still relevant, still funny after 200 ­episodes and nine seasons, The Middle is truly the top. Senior TV critic Matt Roush reviews what shows he loved the most on TV this year.